Lake Memphremagog is a 31.6 mile long international lake and surrounded by the mystery of “Memphre” the lake monster on both sides of the border. Even though approximately 2/3 of the lake is in Canada and 1/3 of the lake is in the U.S. it is still by far the largest lake in the area and offers numerous activities on both sides of the border. There is a border crossing station on the lake if you would like to travel by boat to Magog, Quebec in order to enjoy everything they have to offer in the way of restaurants and entertainment. There are several boat launches that support different size boats and three marinas offering a place to tie up if you need gas, a place to eat or a spot to get off your boat for a while and enjoy a walk along the boardwalk and downtown Newport. One very popular marina is at the Eastside Restaurant (Eastsiderestaurant.net). The city of Newport offers another marina at the Gateway Center / city docks and if you want an extended stay on the lake, there is a campground on Prouty Beach (discovernewportvt.com). If you are looking for an athletic challenge check out the seasonal events of Kingdom Games at kingdomgames.com. In the winter lots of ice fishing takes place on Lake Memphremagog and the VAST trail runs up, down and across the lake. In the summer it is very popular for sailboats and large motor boats. So bring your snowmobiles, fishing poles, boats and bathing suits and prepare to have a great time on Lake Memphremagog. Enjoy spectacular views of Lake Memphremagog from every window of this custom built contemporary home with 4 bedrooms and 4 baths situated perfectly on a 1.2 acre lot with handcrafted stonework and superb landscaping giving the lake frontage an expensive elegance. This home has over 3500+ square feet of living space on three levels. The main level features an open floor plan of kitchen, dining and living rooms. The kitchen with granite counter tops, stainless appliances and an eating bar opens to dining and living areas highlighted by a gas fireplace, and hardwood floors. There is a master bedroom suite with walk in custom closet, tray ceiling, and a sunroom separated by a gas fireplace. The master bath has a walk in tiled shower and Jacuzzi tub not to mention the granite vanity and ceramic floors. Add a laundry area for one level living. The upper level of the home has 2 bedrooms and a bath while the lower level has a private guest suite with family room and a laundry area. The basement includes a game room with overhead door for storing recreational vehicles in winter. This spacious home with all venues pointing toward the lake makes for easy entertaining indoors or out on the composite deck and covered porch. Radiant heat and the 3 a/c-heat units make for comfort year round. Attached is a 3 car heated garage with full set of walk up stairs for storage above. Located just 2.5 miles from Town and just minutes from Jay Peak Resort and 3 golf courses. Enjoy Vermont! What a setting! This 4 bedroom 3 bathroom 4500 sq foot log home is privately perched on over 20 acres of land overlooking the international waters of Lake Memphremagog. A well cared for log home offers a gorgeous kitchen w/ custom cabinetry, a huge center island, granite counters, tile back splash & professional grade stainless appliances. The open floor plan offers cathedral ceilings, commanding views, access to covered & open decks, flexible dining space & a large living room featuring a cozy wood stove. A large mudroom welcomes guests, two guest rooms or offices and a guest bath are on the main level as well as the master suite which also has lovely views, a master bath & a walk in closet. Upstairs is an open loft for crafts, TV room, or game room & the basement has a huge living space, two large rooms (bedrooms, exercise rooms, office, etc) as well as a 3/4 bath a large storage space plus a wonderful cedar sauna all w/ radiant heat. Work from Home with Cable Internet (250Mbps)! The exterior has lovely landscaping, a 4 stall horse barn w/ storage above, & an in-ground, salt water pool w/ a retractable solar enclosure which retains the heat & extends the swimming season. So much to offer & only 5 minutes to downtown Newport / Lake Memphremagog & 20 minutes to Jay Peak Resort offering a championship golf course, indoor water park, indoor ice arena, world class skiing and riding, and an indoor climbing center & theater! Click on the virtual tour for a 3D tour of this home. Masterfully constructed Contemporary home privately situated atop 10.8 acres overlooking beautiful Vermont mountain ranges and offering breath taking views of international, Lake Memphremagog. This expansive home features 5,000+ sq. ft. of living space with 3 stories of finished living area. Enter through the foyer to a beautiful kitchen with stainless appliances, large dining area with spectacular lake views, sunk-in living room w/ vaulted ceilings, library, bedroom, mudroom, 3-season sun room, large pantry, laundry room and 3/4 bath. The second floor features 2 additional bedrooms, a spare room, master suite with large walk-in closet, and a full bath. The fully finished, walk-out lower level offers a spacious family room ideal for entertaining, bonus room, rec room, additional bedroom and a 3/4 bath. Additional features include custom maple woodwork throughout, central vac, multi-unit air conditioners, air exchanger, alarm system, 2-car attached garage, detached 4-stall horse barn/workshop and more. Enjoy the luxury of a quiet country setting while remaining just a short to drive to Lake Memphremagog, all town amenities and Jay Peak Resort (Vermont's premier four-season resort with a professional, 18-hole golf course, indoor water park, ice arena and miles of ski trails). A beautifully hidden gem in the Northeast Kingdom that must be seen to be appreciated. Nestled atop 3.77 acres of land overlooking beautiful lake views and the surrounding mountain ranges, this contemporary style home features 3 bedrooms, 2.5 baths, a spacious open floor-plan and the panoramic long range views from every room in the house. Impeccable condition throughout, cedar siding, vaulted ceilings & windows galore in the great room, hardwood floors, 2 propane fireplaces, spacious master en-suite, elegant kitchen with custom built cabinetry, granite counter-tops and much more. For the hobbyist, you'll love the detached garage/shop (28'x40'). 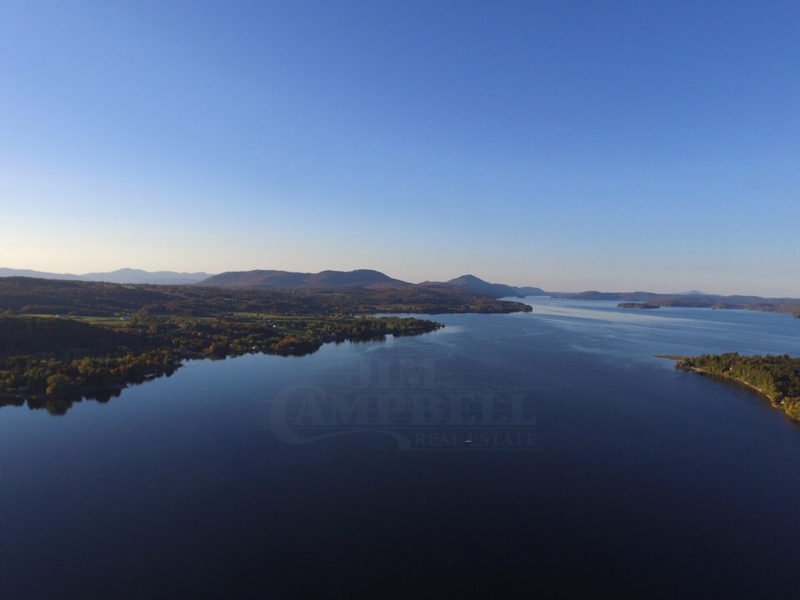 Boasting some of the most amazing views in all of the Northeast Kingdom and located only a short drive to boating access on Lake Memphremagog & Jay Peak Resort (home to world class skiing, an indoor water park, 18 hole professional golf course, etc.). Enjoy an abundance of wildlife while relaxing in the hot-tub and soaking in all the that this property has to offer. This is a lot of property for the money and is priced well below the most recent appraised value. Taxes noted are non-residential - well worth a look today! One of Newport's first mansions built by the Prouty Family. Current owners re-shingled the roof, added new bathrooms, new windows, new heating, many new windows, new frpl inserts, and new furnace and oil tank. Large grand rooms up and down. Staircase right out of "Gone With The Wind". With huge gorgeous stained glass window over the stairs. Amazing front foyer/hall and upstairs hall. Hardwood throughout. 2 pantries off the kitchen. Overlook South Bay. Way over the top new bathrooms. Walk to downtown and the city dock. Mostly furnished. Longing for a one level new home close to hospital, schools, walking trails...here is a 3 bedroom, 2 bath at the Highlands in Pine Bluff Estates. You will love walking to the 1200 foot sandy beach which you share with others to swim or take your boat out. While there, you may just want to sit in the gazebo listening to the water hit the shoreline or to read a novel. This home built with quality in mind boasts natural wood cabinetry in the fully applianced kitchen and a large eating bar with plenty of room for cooking projects and entertaining. The kitchen is open to the dining room and living room. The main floor includes a master suite, 2 additional bedrooms and bath, laundry area and a study. I almost forgot you'll need to make time to relax on the screened porch. The hardwood and tile floors are easy to maintain and live in. On the lower level of the home there is a spacious family room ready for multiple activities. This is on a quiet street with great neighbors. You will love where you live and play. Direct waterfront condo on 1 level on the 2nd floor. Wood burning fireplace. Open living/dining/kitchen with phenomenal lake views. Dock available. Heated swimming pool. Tennis court. Very low utility costs. Minutes to Jay Peak. Great snow mobile location too.